Senior K.D. Edenfield captained his team to victory in the annual Trojan Challenge. This event takes place at the end of offseason workouts and features each senior as captain of a team that participates in various events. His team finished in first place in the Dizzy Bat, Baseball Test, General Knowledge Test, and 100 Yard Relay events. 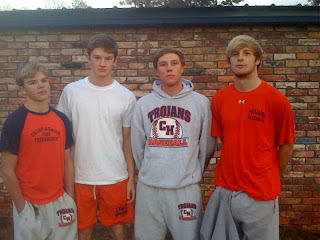 Edenfield's teammates were Harrison Reeves, Houston Mabrey, and Luke Tate.